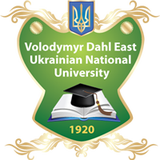 East Ukraine University prepare specialists for JSC "Lugansk Cartridge Plant"
During the working meeting of heads of departments of chemistry, processing materials, machines and tools, graphic and computer modeling, instrumentation, Economic Cybernetics, materials science, environmental science, metrology, manufacturing engineering and railway East Ukrainian National University named after Volodymyr Dahl of the governing apparatus of PJSC " Luhansk Cartridge Factory "was agreed on cooperation. Representatives DREAMS them. Dal and JSC "Lugansk Cartridge Plant" discussed the organization of production practices Dahl University students at the plant and joint training with the participation of the faculty of the University. In addition, scientists DREAMS them. Dal presented several ways to improve the economic and environmental performance of production, expanding the range of production plant and a more rational use of industrial space with the introduction into the production process of new technologies. "Cooperation with" Luhansk Cartridge Factory "can be considered mutually beneficial and promising - said Dean rails communications DREAMS them. Dal Valentine's Tomb. - Our students will not only get practical training at the plant, but stay there to work. On the other hand, the plant will receive from our scientists proposals to address specific issues in production. " Recall that the Joint-Stock Company "Luhansk Cartridge Factory" was established in 2002. The plant produces about one hundred million rounds of ammunition for sporting and hunting weapons per year on automated rotary lines. In addition, the company produces and delivers rotary process equipment, tools and technical equipment necessary for the production of ammunition.